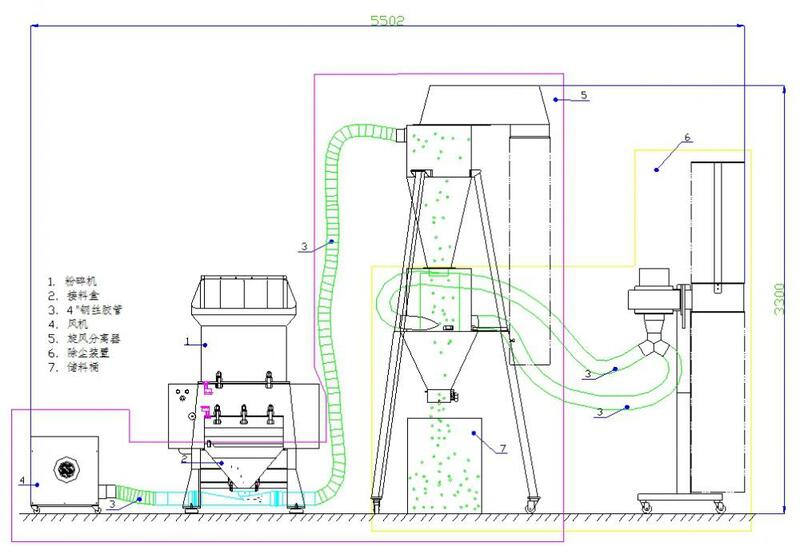 Product categories of Granulating & Recycling, we are specialized manufacturers from China, Rhong Equipment, Plastic Granulator With European Design suppliers/factory, wholesale high-quality products of Plastic Shredder Machine R & D and manufacturing, we have the perfect after-sales service and technical support. Look forward to your cooperation! Plastic Granulator,also popular as crusher or grinder,is size reduction machine used for granulating various materials into small and uniform particle sizes.It is widely used in waste recycling industry,especially in plastic recycling field. Plastic grinder machine is ideal for crushing bulk waste materials such as various scrap plastic products,like PET,HDPE,PP,PE,PVC,These waste plastic material normally are in the form of injection/extrusion runners,plastic pipes,film,PET bottles,HDPE containers,nylon strips or pipes,so on and so forth.Besides used in plastic recycling field,granulator is also available for crushing many other types of waste material such as paper,rubber,etc. Granulator can be used as standard equipment.Or you can connect it with a feeding conveyor and even shredding and baling machines to compose production lines.Some heavy duty granulators with high output rate are quite commonly applied in recycling lines such as RDF line.They are usually positioned behind the shredders as as secondary granulating process to get smaller and uniform sized articles. B:suitable for spot recycle of srape products of small plastic bottles,containers,pellicle plastics,sheets,sprues from injection molding machines and extrusion parts,tailored to an extremely wide range of application. C:middle speed granulator has characteristics of low noise,dust free,occuping small space,engery efficiency and able to operate for long hours continuously,with high efficient environment protection.